Picture the perfect local bar and Pub 52 Gastro + Kitchen instantly comes to mind. After all, it’s where all your friends and neighbors are going these days from South Miami, Coral Gables, Pinecrest, Kendall, and the Grove. The prices are right, staff is friendly, the vibe is easy, and the food is absolutely unmatched. There’s really something for everyone here. And something is happening just about every night of the week. 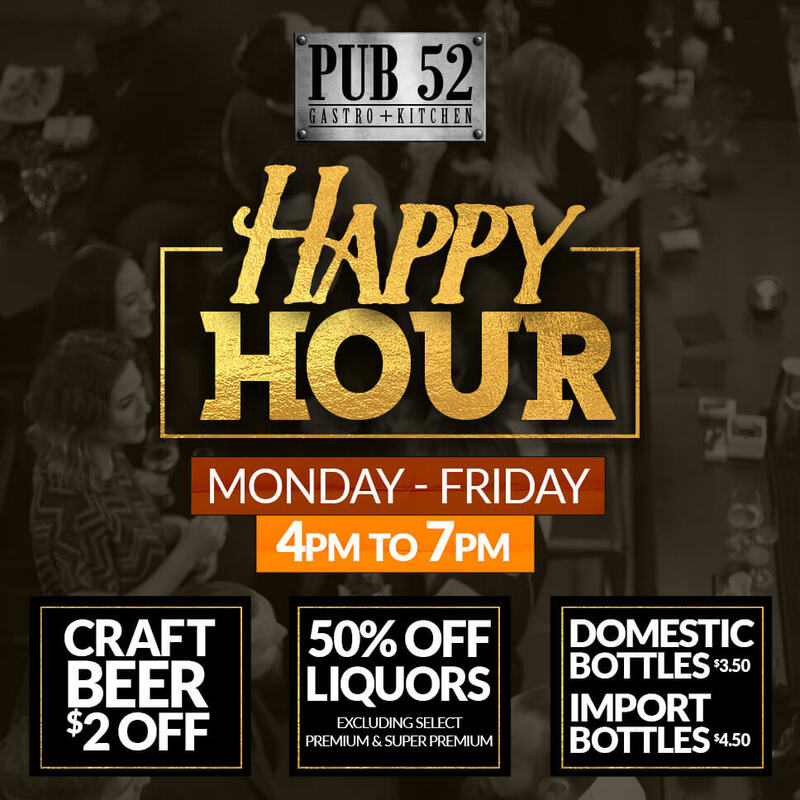 You work hard all week, so we’re here for you – with the best happy hour in town, Monday through Friday, 4-7 p.m. Our great drink specials will help end your day right – like $2 off craft beer, $3.50 domestic bottles, $4.50 imports, and half-priced standard liquors. Join us indoors, shooting pool and small talk, or just relax outside on the patio. 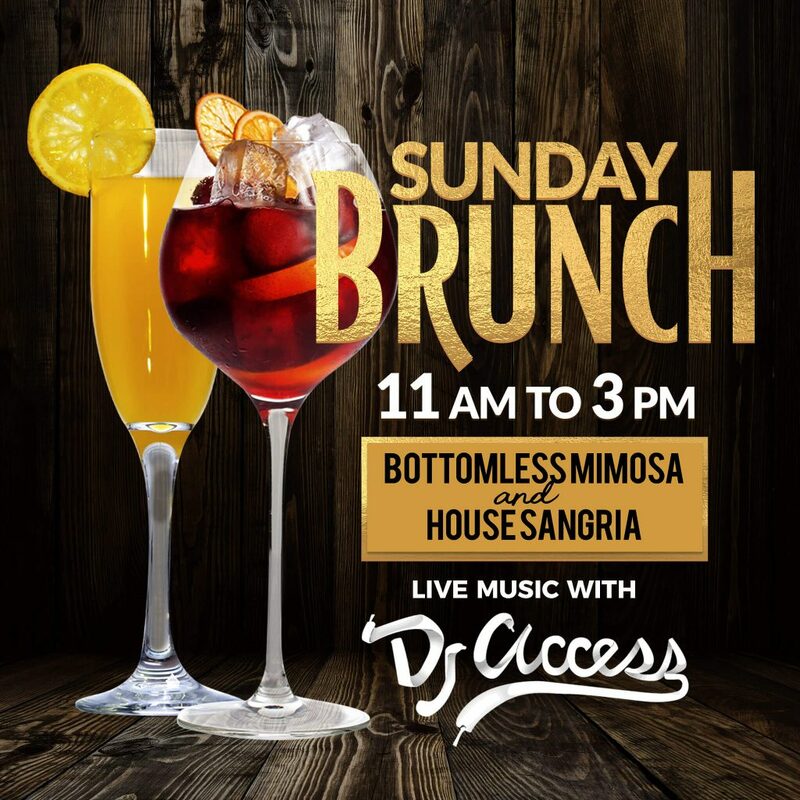 Sundays and Pub 52 go together like bacon and eggs in south Miami – and a whole lot more – during our Sunday Brunch from 11 a.m. to 3 p.m. Our bottomless mimosas and house sangria are always flowing, along with a smooth yacht-rock mix of tunes. Sunday Brunch is so sinfully good, you’ll want to go back to church. 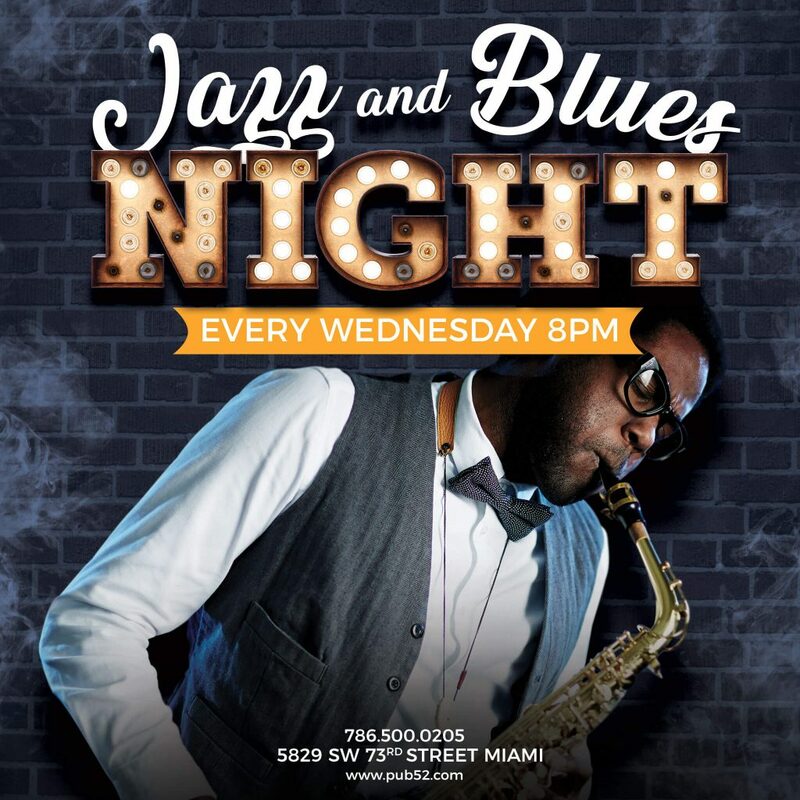 Now we’re jammin’ … with live bands every Thursday, Friday, and Saturday night. 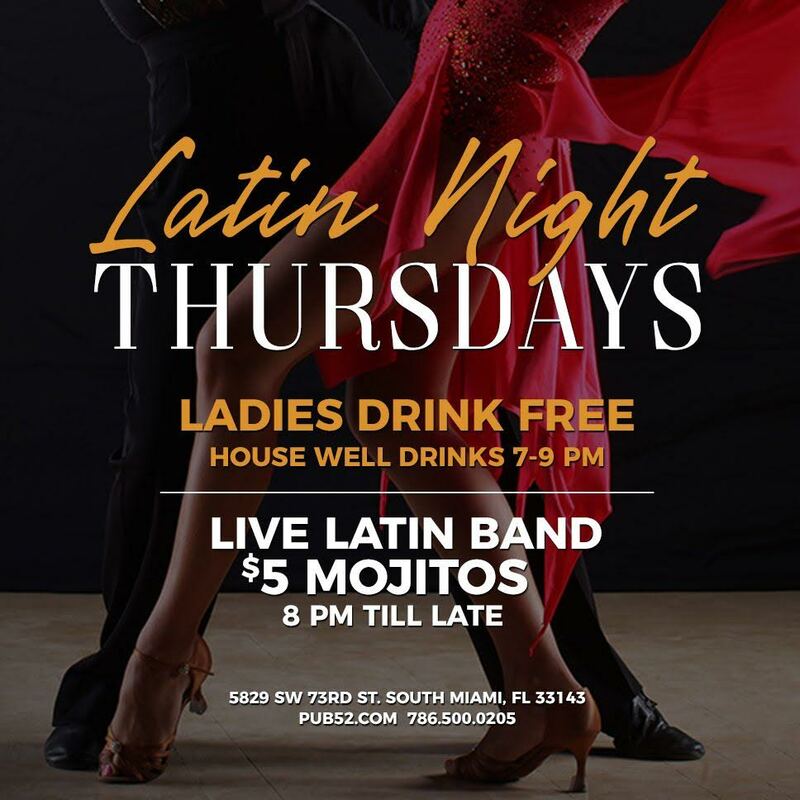 Mix it up during Latin Night Thursdays with $5 dollar Mojitos and a live Latin bands starting 8 p.m. And then check out our band schedule for live performances on stage every Friday and Saturday. 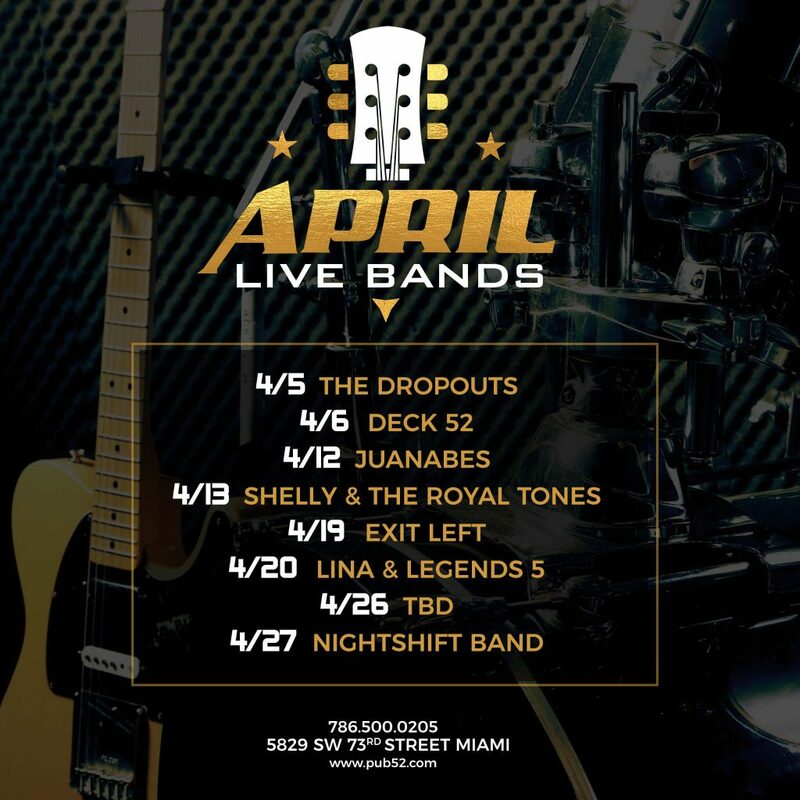 We keep you rockin’ all weekend. 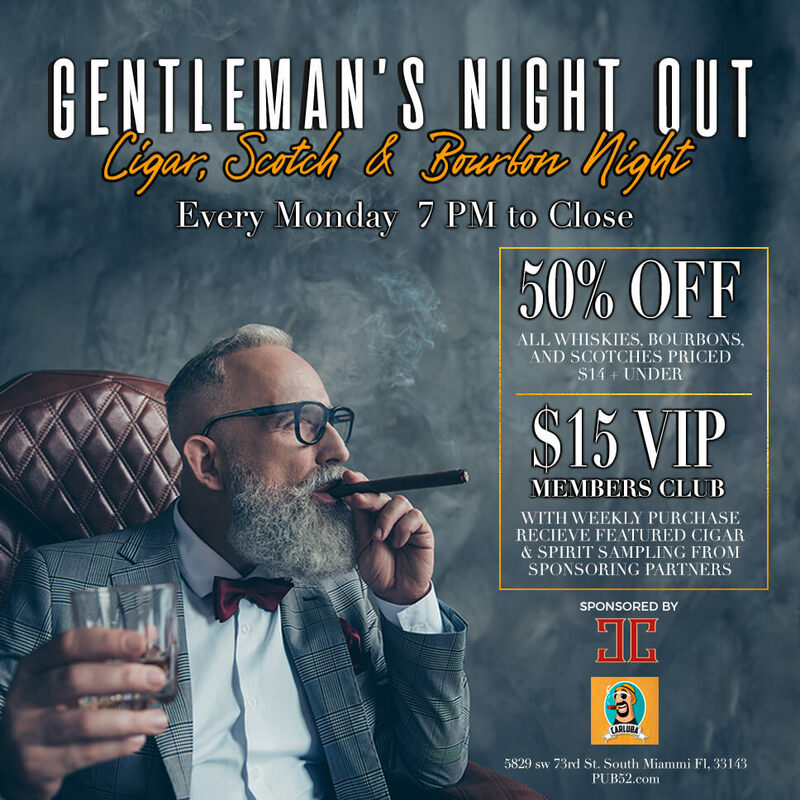 If it’s Monday, you’ll want to stick around for Pub 52’s Gentlemen’s Night Out with cigars, scotch, and bourbon. From 7 p.m. ‘til closing, enjoy 50% off all whiskey, bourbons, and scotch priced $14 and under. Or for $15, become and a VIP Club Member and get special perks from event sponsors. 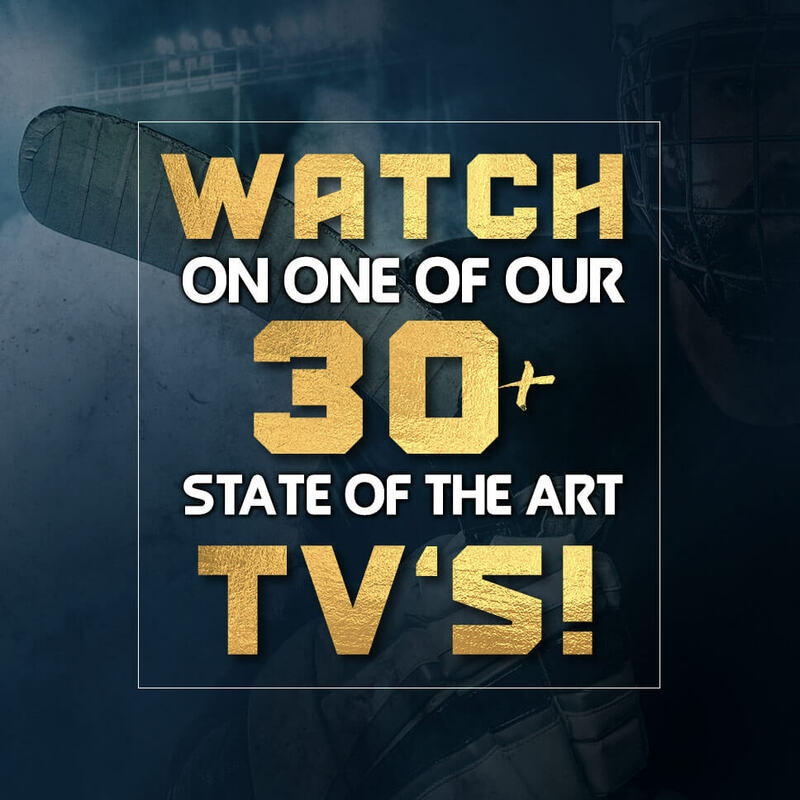 If there’s a big game on, we’ve definitely got it on! Pub 52 is your neighborhood Sports Headquarters. 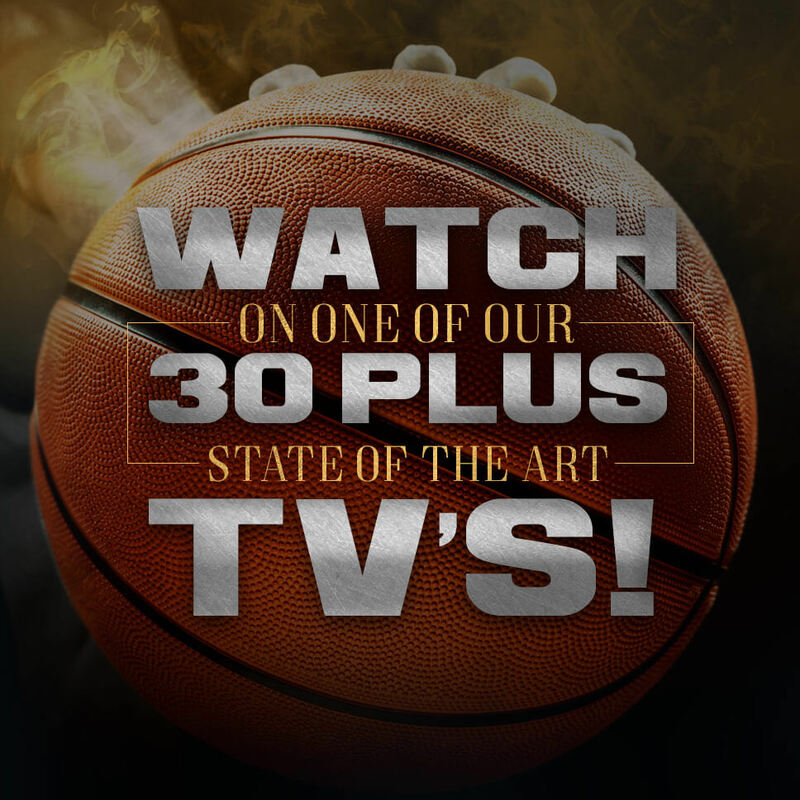 With more than 30 big screen TVs and a 9-foot HD projector in the house, you get a front row seat at your favorite game – whether it’s with the NFL, NBA, NHL, College football, soccer, or rugby – but with way better food and drink! 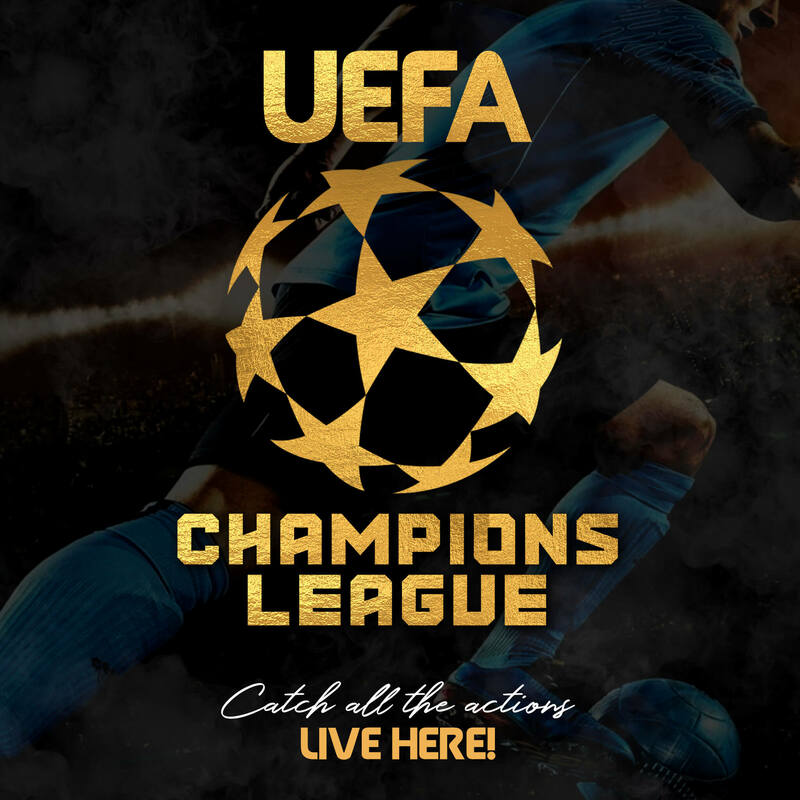 Pub 52 is also the local go-to venue for sensational social and corporate events. The professional and friendly crew at Pub 52 stands ready to host small and large-scale functions like birthday parties, anniversaries, and office parties. We provide a great experience and value for you and your guests and feature a variety of options including private event space, a large and airy patio, and professional catering. Check out our catering menu. We can’t wait to see you again and again at Pub 52 Gastro + Kitchen.